In May 2008, after nearly two decades in the coffee industry, Keith Lemnios combined his passion for coffee with his deep commitment to social responsibility to create a brand that is the obvious choice for any environmentally and socially conscious coffee lover. Sun Coffee Roasters is one of the most technologically advanced roasters and packagers of Sustainable Fair Trade coffee in the United States. We are dedicated to providing consumers with delicious, Sustainable Fair Trade coffee – while pursuing total transparency "from bean to cup." 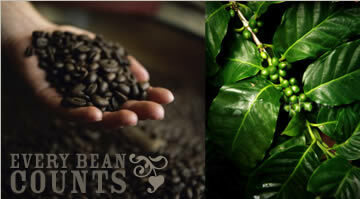 We source coffee beans from certified Rainforest and Fair Trade cooperatives worldwide. Through our energy-efficient roasting process and eco-friendly packaging, we strive to ensure that all our business decisions are made with people and planet in mind. Not only is Sun's process good for the planet; it's also good for your palette. Our methods yield the freshest, best-tasting Sustainable Fair Trade coffee possible. Sun Coffee drinkers from coast to coast greet the day knowing they are sitting down to a cup of ethically-sourced, sustainably-produced, premium coffee.